K104 and any other program manager in a major market should realize that when you bring in a new jock from another city to your market; you need to let that jock bring his own people with him and NOT keep some of the same jocks that were on the air before . (Now his people would have been his former co-host Ebony. Unfortunately she joined The Rickey Smiley Show more than a year ago and maybe that was the problem.) We know why you do it... you think those familiar holdover voices will prevent listeners from abandoning the station completely during the transition. Instead of it being "The Buck Wilde Show" for the Dallas listeners, it was Buck Wilde replacing Skip Cheatham on the old K104 morning show "Da Playground." 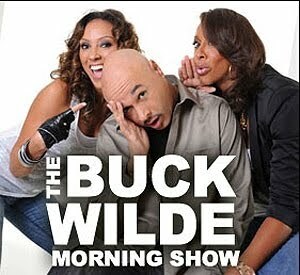 Buck Wilde joined holdovers from the previous morning show- veteran jock DeDe McGuire and Jade. A formula for disaster for sure. DeDe is a lead jock in her own right and playing second fiddle to Buck was not a good idea. The official reason for the departure were "creative differences." We always thought the Da Playground morning show suffered from too many people on the air at the same time. There were at least six personalities vying for air time back then. It still seems to be the mentality at the station. We recall when Sam Sylk was brought in from afternoons at 'GCI in Chicago to fill the morning host slot at Power 99 in Philly. Sam is a great jock; (currently at Power 92 Chicago) but when he came in he was paired up with Erica Kane from Baltimore and holdover Q-Deezy. The chemistry wasn't there. It didn't work. The absolute best example to support the idea that a lead jock needs to bring his people with him to a new city is Howard Stern. 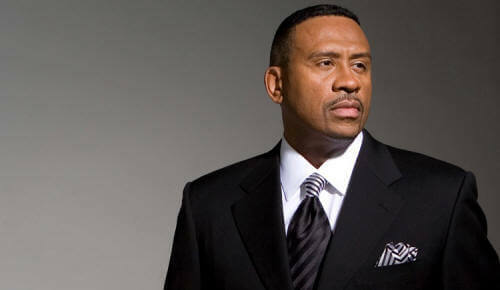 He became a major success in Washington, D.C. radio and was offered the opportunity to do New York radio. He insisted on in bringing his sidekick Robin Quivers with him even though management balked at the idea at first...but now you know the rest of their story. There are other examples including syndicated hosts like Tom Joyner (and Sybil Wilkes) and Steve Harvey (back with Shirley Strawberry from his L.A. radio days). Local hosts like Star, Buc Wild, and White Trash Helene at 100.3 The Beat along with Charlamagne and Angela Yee at Sirius satellite radio channel Shade 45 before they moved over to Power 105.1. YOU WILL NEVER see a successful radio show come about when you pair up a new jock with holdovers from the previous morning show. That's just basic radio programming 101. Here's some of the "creative differences" Buck Wilde did during his short run as morning host in Dallas including K104 giving away $10,000. He must be happy he has that contract that pays him the same amount of money whether he is getting up at 3:30 or is cracking the mic at 3:30 in the morning.